Prepare even more delicious, hearty meals with a classic deep Dutch oven. This eight quart, 12" deep Dutch oven will give you more space for any of your family favourite recipes. Now, the most popular Dutch oven size will feed even more people. Part of Camp Chef's commitment to producing quality cast iron products is preseasoning all cast iron with its own True Seasoned Finish so it is ready to use out of the box. Great for use at the campsite or in the kitchen! King Kooker 8 quart cast iron dutch oven and lid. Cast iron construction allows for even heat distribution, eliminating cold spots. Wonderful for soups, stews, chili, jambalaya and gumbo! Excellent for roasting and frying! Pre-seasoned and ready to cook! 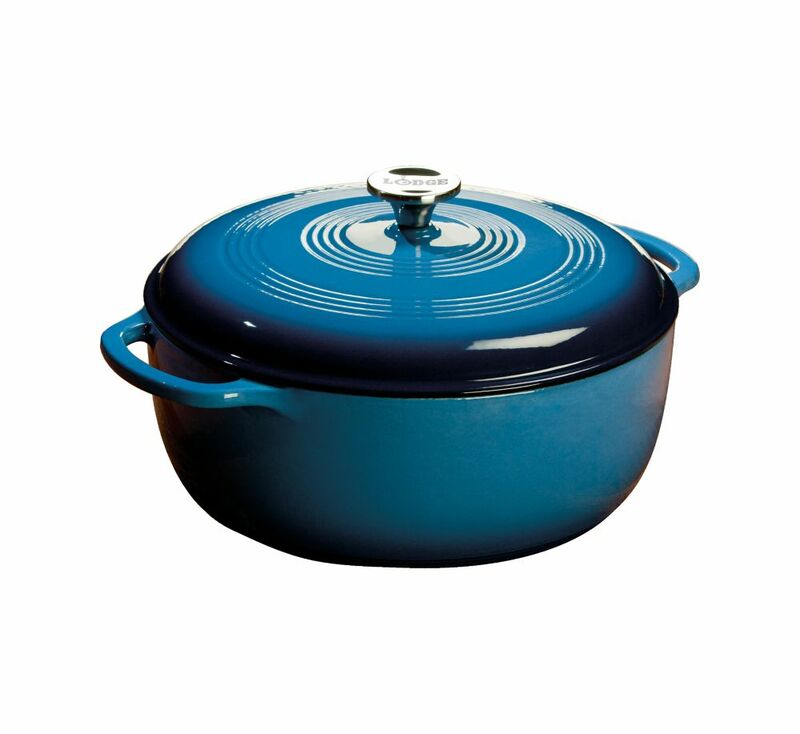 Lodge Colour Enamel Dutch Oven Blue 7.5 Quart is rated 5.0 out of 5 by 1. Rated 5 out of 5 by RoxaneBay from Higher Quality Dutch Oven Happy with the 7.5 Quart size. Managed 2 medium sized roasts with vegetables and there was no problem with crowding in the dutch oven. I was very pleased with the clean up. Let it sit with some dish soap for a bit and it washed up as if never used... gotta like that!